I am like you Kellie, I believe that it is still there in us. It is something instilled in us, passed on through the years in our blood and hearts. Sometimes we get caught up in the world outside, but I don’t think the mountain culture in us, never really goes away! I love that woman on your blog…my grandmother. She was an Appalachian woman from horn to hoof and she instilled in her girls, one of which was my Mom, the basics of Appalachian womanhood. It was handed down to me and to some degree some of her can still be seen in the rest of you. No chore was too hard and she even did her ironing while her leg was resting on a chair due to a broken ankle that never seemed to heal. She never complained and greeted each day ready to fulfill her duties as a mother, a mentor, a nurse, a cook, a teacher, an example never to this day have I seen rise above hers. She was a proud but very poor woman who used her ability to make do with what she had. Becoming a widow with seven children, she faced life with a determination beyond measure. She was one Appalachian Woman!!!! Well said!! Kelli-like you I see how much we’ve lost-but at the same time I’m encouraged by the Appalachian Women I see still continuing to be what they are regardless of the world around them. In the midst of all those women-I see me-I see you-both of us trying to hold on to the thread passed down by our Grannies, our Mamaws, our elders. I loved this picture and your thoughts. I wonder about this myself, what is left of our ancestral links and cultures? And yet, I know I have so much stoic midwesterner in me, in the way I approach certain things, and I barely even lived there growing up (my Dad was in the Air Force), but all my family is from there, so it is just in my blood I guess. And I do value it, and that link to my ancestors. And yet, I also see the value of us all (humanity that is) gradually letting go of these identifications, because so often they have been limiting, or caused strife, as people too often identified only with ‘their own’. It is a mixed-bag, this globalization that is going on. Something is lost and something is gained, it seems to me. I feel this way too. As I hold on to my memories of family heritage handed down, touched, loved, cherished and, at times hidden to protect from out siders, I also am strengthened by those same memories of my granny to hold onto something even stronger. And that was and still is the faith in Jesus if these women. It is that faith that made them strong and kept them strong through hard times. That faith is my faith and it is as alive in my life as it was in theirs! God bless us all with more faith! It’s definitely “in the blood.” I think that part of being an Appalachian Woman is endurance. It’s the want to and ability to survive, to adapt, and yet at the same time, to maintain OUR culture. My life may not 100 percent reflect the culture in which I was raised but I know that my being “different” than my friends in much noticed. The simplicity in which we have chosen to live and raise our children makes them different and sometimes, that does honestly bother me because I don’t want them to be treated differently. In the end, they’ll be stronger and better men for it. And to be honest, the more “old style” things I learn…canning, pickling, sewing, quilting, knitting, baking, rug braiding, preserving, , owning chickens, raising out livestock, gardening…..that I learn, the prouder I am that I KNOW how to do these things and how to provide for my family. I also think that its important to be certain that the world does not put a stigma on us as being backwoods or redneck or “country” (like its a bad thing!). Being Appalachian is about surviving, about taking the land and lot we’ve been giving and making a successful go at it. About enduring. About loving where we are and what we are. Minus my faith and my family, there’s nothing I’m more proud of than being southern, Appalachian, Cherokee, being a farmer (and farm kid!) at heart or Georgian! Why shouldn’t I be proud of those things? We come from good, strong stock. Good one Kelli! I need to scan in some old pictures! Beautiful picture! I enjoyed your writing. Kelli, this really made me think. I am from the mountain women, yet modern circumstances led me far from the mountains, and left me grossly disconnected from my roots. I don’t know if i will ever get that sense of connection back. I like to think who I am I owe to my own Appalachian, Cherokee women ancestors, but it isn’t Foxfire anymore, is it? Nope, it sure ain’t. I wish it was in ways. I think that the things we gravitate to in life are partly genetic engravings of the lives of our ancestors. I would think it is that way with your life’s work. Your values, as in the things you appreciate. There’s a lot going on in these hills right now. A whole lot. But, it’s still the beautiful place, close to nature. Oh, Kelli, I meant to say word about the mountain men. The mountain men in our family were of the hard liquor, rifle-totin’, fight-startin’ variety. A wonder the mountain women coped with THAT. Angie, that’s why my granny didn’t talk a lot about the past, because of men and alcohol. I wish alcohol never existed! It’s so sad when a small group of people feel the need to tell everyone else how to live. You’re so right – living in the mountains or in the country is not the same as living in the city. No one should be made to feel ashamed of where they come from. I know what you mean. I am African American from the South and very country. I am use growing most of my families food. I love it. When I didn’t have to do it, I felt lost. I still love pigs and chickens. I am back to the plain and simple life that I love. Kelly thank you so much for coming to JCTC on Tuesday and sharing your knowledge with us. I really enjoyed your wisdom and insight, it made me feel homesick for a freedom I have always heard of and never known. If I ever find out the names of my Cherokee ancestors, you will be the first person I contact. I truly admire your strength and genuine love for the mountains, your culture and your heritage. It’s people like you that will keep it alive. You have a lot to be proud of Kelly. Many blessings to you and your family. I enjoyed being there. Home truly is where our heart is, and the freedom is where we are if we unleash it. I stumbled upon this post this morning searching for old Appalachian sewing crafts – it was a post I needed to read. I grew up in SW Pa and so long to move back to the Appalachian region – it feels like it is a missing piece in my soul. However, your post makes me realize that it is always with me, no matter where I call home. It is there, all the time. You were born with it. You may leave the mountains, but the mountains never leave you. Sorry I didn’t have any sewing crafts. You might could find some on http://theartistthemom.blogspot.com . Thanks for reading and commenting! I too have ancestry in south east Kentucky. Letcher to be exact, in Whitesburg. *sigh* I live in Florida. Only 18 or so miles from the ocean. And it is beautiful here in its own way. But it doesnt feel like home all the time, even though I was born here. I feel a never ending tug to the north of here. It comes from the mountains. Appalachia swims in my blood and I am proud. I am honored. We used to make trips to Kentucky. We would drive all day just to get to my great grandmother’s house in the “holler” How I loved it there. Every time! She stepped over 8 years ago at 90….. And she was NOT youre average, run of the mill 90 year old. lol. She worked her garden still, did her duties and never complained, she too didnt have much to her name but the garden and the wood frame house she lived in since before my mom was born. She stayed active in her small community and she stayed healthy and very physically active. When I think of strength, when I think of know-how, when I think of being able to fix anything. when I think of REAL womanhood. I think of my great grandmother. Dona Hale. She has 28 grandchildren…. and I am one of 33 great grandchildren. She was so proud that we were all hers, as if there were no greater accomplishment in the world to her. She was so full of energy! and smiling always, even though she was quite the hot head! lol. when I would hug her in my arms, she never had that small, fragile “old lady” bony feel. She was like concrete! she was strong. She didnt have anything that she didnt make, grow and preserve, or that she couldnt fix. Some people look up to sports stars, presidents, super heroes. And thats fine….for them. I have my Granny. She was all things woman, she wasnt feminist (not that thats bad) she was just a hard working individual that had pride in her roots. She is my hero, and I am just now learning the things that she used to do just to get by. and I am proud. When I see the mountains I weep for her. I listen to appalachian and bluegrass instrumental and hymns just to feel closer to her. closer to the mountains. closer to who I really am. A Florida surfergirl with mountain blood. Proud of her Appalachian roots. I hope that one day I can be a 16th the woman she was. I grew up in Applacain mountains fo southwest virginia. I am pproud of thie hertiage. I left the area in 1998. It is funny as I refelct on that hertiage of the time. I had not been back to my home town in twenty five years. It was not like I said when I get out of these mountains I am never looking back. It was a series of circumstances that led me to where I am now. I do not believe thee is a stronger group nor a more loyal or truer friend. There is not the work ethic among flatlanders that was so abundunt n the monutains. 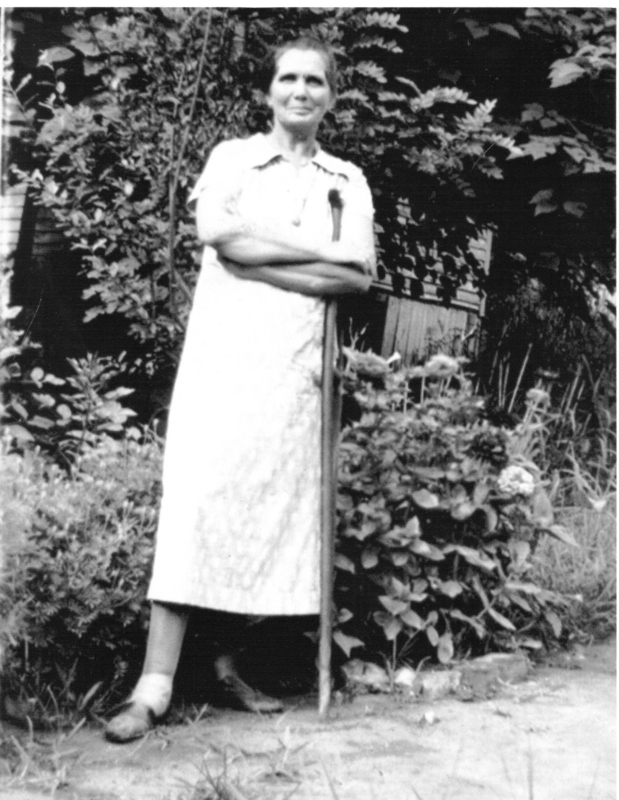 many a day my grandmother tended her vegetable garden. The soils were dry hard and unforgiving but she always had bushels of spare vegetable long after her canning was done. Did she put the extra up for sale, or did she let it lie and rot in the fields. NO she called up friends and friends of freinds who did not have. She was a very hard working but gentle soul. My grandmother too was of the Cherokee decent. When she departed this life at the age of 85 her hair was black as coal. The coal that kept the wheels turning in the unforgiving moutains. How I loved this post and truly, only a born and bred Appalachian can soulfully relate. Many people confuse simplicity and fruitful manual labor with poor. But oh, if only they could be persuaded to comprehend the riches and strength of the mind and spirit, within those who have industrious hands and a servants heart. Sadly, great prosperity is a snare. Especially in hands of the unprincipled and godless. Not to mention the thievery from technology and social media on healthy relationships and fellowship.